I usually really like the desserts I bake. Sometimes I love them. And then, every once and a while, I make something new that automatically climbs to my list of top desserts. If this cake isn’t one of those, it sure is close. And without a doubt, I WILL be making the ganache again, and soon! When I saw this recipe, I knew I had to try it. Coffee and banana together? That was a flavor combination I had yet to try but was very intrigued. I’ll tell you right now, I was not disappointed! Make this Banana Cake with Mocha Ganache and you will not be either. This recipe is time consuming, but not very difficult if you have some baking experience. I actually thought the ganache was much easier than the last time I made one (that could be because I was relaxed and not rushed, though). You then need to sift your dry ingredients; I don’t have a sifter, so I improvised! Time to put together your cake! 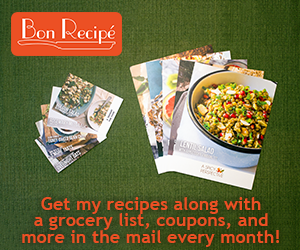 Do you have any new favorite recipes? This looks absolutely delicious. And, your step-by-step photos are fantastic. Baking layer cakes can be intimidating, but your detailed photos take all of the guess work out of it. Thank you for such thorough and clear instructions. Excellent. I’m not much of a baker, but you’ve inspired me. I have to try this one! Truly beautiful job on this cake! The ganache looks to die for and I’m a sucker for anything with bananas in it. Seriously, this is one of the best cakes Lauren has made, I really enjoyed it. Yum! I’ve been drinking Banana Cocoa-Espresso Smoothies for breakfast the past few weeks–this looks like an entirely decadent rendition of those! I can’t wait for an occasion to try it. Thanks for sharing! I am so happy you enjoyed the cake! It’s by far the best banana cake I’ve ever made. If you have a chance you should try the salted candied peanuts for the top, they are quite addictive. I think I will try making them with honey next time. i’ll definitely be trying those peanuts, thanks for letting me know! This looks positively delish! I can see why it climbed to the top of your list! Looks like the perfect weekend project! Yum yum! i’m moaning internally over the mocha ganache! it was so easy, you must try it! Ooooooh yes please. I’m trying this. This has to be delicious! Three of my favs…Bananas, Chocolate & Coffee! Also, love the step by step instructions & photos! wow how amazing does this look!! Seriously I need to try to make this. Looks and sounds amazing. And I love the way you provided step by step photography. lovely recipe and lovely pics. what a beautiful cake .. sounds so yummy and decadent.. i cant wait to give this one a try. thank you for sharing. This cake looks incredibly delicious! Love the banana/mocha combination and since I have quite a few ripe bananas on the counter, this might just be the recipe to use them up with :o) Thanks for sharing! Banana and chocolate is probably my favorite combination. I’m bookmarking your recipe. thanks for visiting he blog- let me know if you try the recipe! I love this more sophisticated twist on a simple banana bread. Looks delicious!! Just found your blog- drooling! thanks for visiting, i hope you enjoy it! Oh wow! Yes, I can see why this would climb to the top of your list. I need to save this one for future reference!